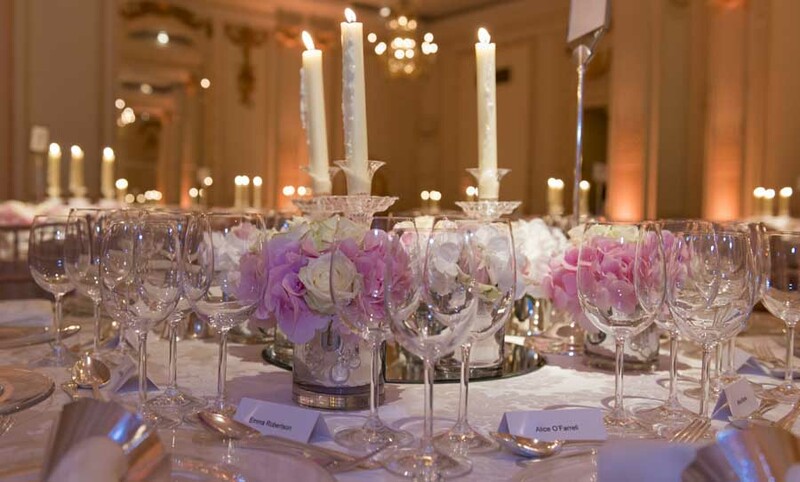 Centrepieces : Traditional or Wild, Romantic or Vintage, flower centrepieces are nothing new. Today, more and more brides come up with newer ideas with a floral focal point. With hundreds of flower types out there with so many different ways to arrange them, make sure your centrepieces and the floral arrangements are unique and attractive. A perfect DIY wedding centrepiece with fresh flowers decorated in the jars and jam bottles is much cost-effective and innovative way to decorate your table top. You can use colored laces and ribbons to create pretty centrepiece out of an old jar or you can also use colorful empty containers and the metallic tins if you’re a DIY-inspired. Just be careful to mismatch and give a perfect, quirky look. If you’re looking for little more traditional flowers for wedding events, then a tall centrepiece with flower accessories and candles looks beautiful. Just make sure the guests are able to see each other across the table. Aisles and Pew-ends : Though Pew end decoration might conjure up the images of old-fashioned floral arrangements in the churches, but decorating your ceremony venue with flowers is a modern way to make sure your wedding is personalized to you as a couple. Simply tying small bunches of flowers to the aisle chairs with colorful ribbons is an ultra-fine way to introduce your wedding theme and will make your wedding ceremony even more beautiful. Another way is putting single blooms in small tealight holders and hanging them from the chairs. For a more dramatic look, line up your aisle with the potted trees and bring in touch of the outdoors inside. You can even customize these potted trees with butterflies in summer and fairy lights in winter for a more versatile decoration. And obviously, once the ceremony is over, you can take these trees home and plant them in your garden space as your wedding reminders. Cake Decorations : Nowadays, lot of brides use fresh flowers to decorate their wedding cakes as it looks more real and up-to-date than those traditional sugary floral decorations. A few blooms and a personal touch of can bring life to a simple wedding cake. Moreover, you can also effectively decorate each tier of the cake to add a perfect look. Simply decorating your cake table with some of the centrepieces surrounding your cake will make it a focal point. You can also place bouquets here and save them from getting abandoned. Why not sprinkle some beautiful flower petals on your cake table for a pretty amazing look. You can always explore more options with your florist! Dramatic Décor : When it comes to decorating your wedding venue, sky is the limit! 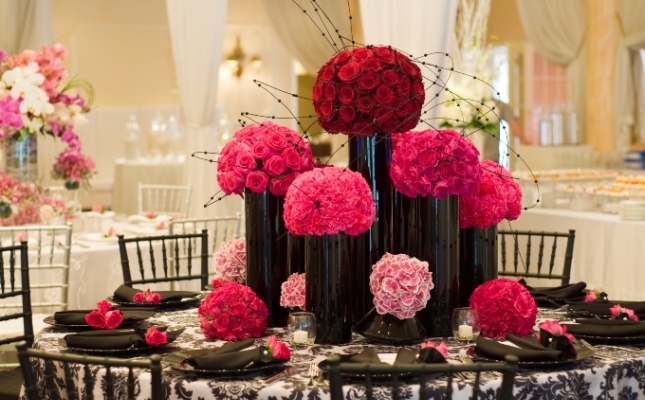 We love to see blend up dramatic floral pieces to the plain ceremony venues. Just like decorating the beautiful flowers to a blank canvas. You can try hanging a floral chandelier from the ceiling but you need to make sure you add a lot of greenery to bulk up your floral arrangement without affecting your budget going through the roof. To add a finishing touch to your wedding space, add some branches and twigs, spray white or silver and hang them with the tealights for a super icy winter wedding. You an also hang them with floral pomanders or pom poms for sunny weddings. Hope, this article helps you get inspired..